The Mediterran n oil and gas industry is growing by leaps and bounds each year. We strive to provide the best on-time performance, the best dispatch and communications, the best pilots and the best experience for our clients. When you choose Lahak Aviation, you are choosing a team of skilled professionals and aviators that are dedicated to providing you the greatest service possible. Lahak Aviation has been providing offshore crew transportation throughout the Mediterranean since 2010. Through a joint venture with PHI, Inc., one of the world’s leading helicopter service companies, we provide the appropriate helicopters to transport your crew safely and efficiently. 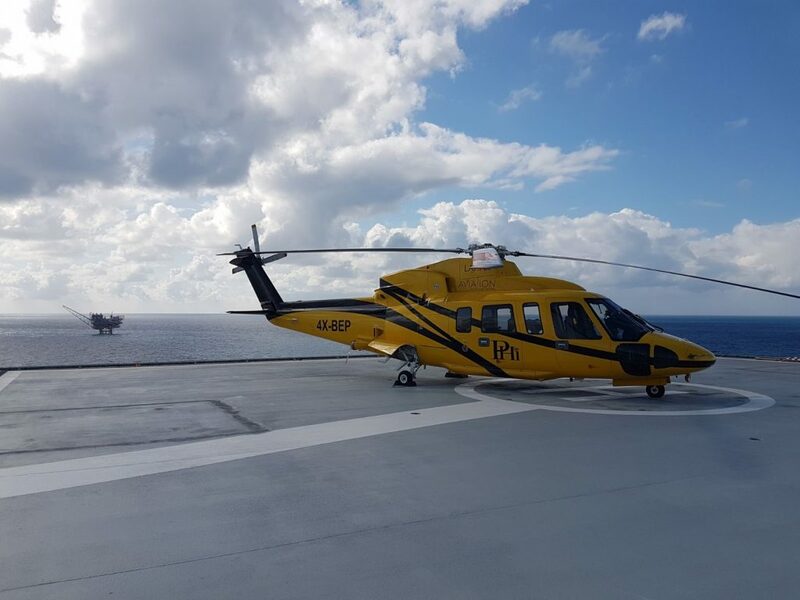 With helicopters and crews based in Haifa and Tel Aviv, we are in the heart of everything while being close to the sea. We provide offshore transportation to many companies in the oil and gas industry. We focus on experience and safety when selecting our pilots. Our pilots have thousands of hours of experience of PIC (Pilot-In-Command) time and offshore experience. Every year, they are sent to Lafayette, Louisiana in the United States for a rigorous training at PHI, Inc’s award-winning program. Our pilots understand the importance of on-time performance and keep safety as a top priority in every flight. Our helicopters are perfectly maintained through Elbit Systems, a highly-respected maintenance contractor, which is supervised and approved by Lahak Aviation and PHI, Inc. We use the highest international standards to ensure every flight is safe and running efficiently. We take every step to “break the error chain” and keep things running smoothly.Our helicopters and pilots are certified by the Civil Aviation Authority of Israel. Currently, we operate S-76 and BO 105 in offshore configurations. The S-76 have room for up to 13 passengers, equipment and 2 pilots; the BO 105s have room for up to 4 passengers, equipment, and 1 pilot. With bases in Haifa and Tel Aviv, we provide service from the North to the South of Israel as well as the Mediterranean Sea.